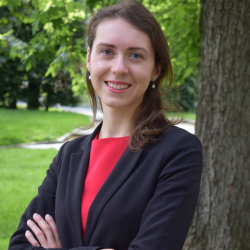 Simona Pronckute is a fellow at TheGoodLobby and a Project Assistant at The European Citizens Initiative Campaign. She studied at the College of Europe, University of Vienna, University of Luxembourg, University of Parma and University of Klaipeda. Besides her work, she is involved in activities with the FutureLab Europe and WeBuildEurope.eu. Occasionally, Simona is invited to speak about the European Citizens’ Initiative, youth empowerment and participatory democracy at international conferences. In her free time she writes articles for various European journals and magazines. The Good Lobby acts as a clearinghouse matching NGOs with expert volunteers, who include some of Europe’s leading academics, lawyers, business professionals and students. Our partner organisation, the EU Public Interest Clinic, brings together law students to provide legal advice. The clinic is particularly interested in projects that involve direct engagement with the EU institutions.